I've loved sharing my Oklahoma City favorites these last few months - boutiques, brunch spots and coffee shops! Obviously you can see where my priorities are (coffee, breakfast food and clothes) haha. This month, though, I thought I'd share my favorite OKC craft cocktails. There is nothing quite like sipping a good cocktail with your significant other or a close friend on a weekend afternoon/evening. I am typically a gin or vodka kind of gal - I love anything with a fresh herby or floral flavor (rose, jalapeño, lavender, lemon, orange blossom, mint). I don't particularly care for bourbon or whiskey, but I can appreciate rum and tequila in the right setting - like on a beach in Mexico am I right?! Even though I prefer gin and vodka, this list ended up a bit tequila heavy. What can I say, I guess I just love a good marg! 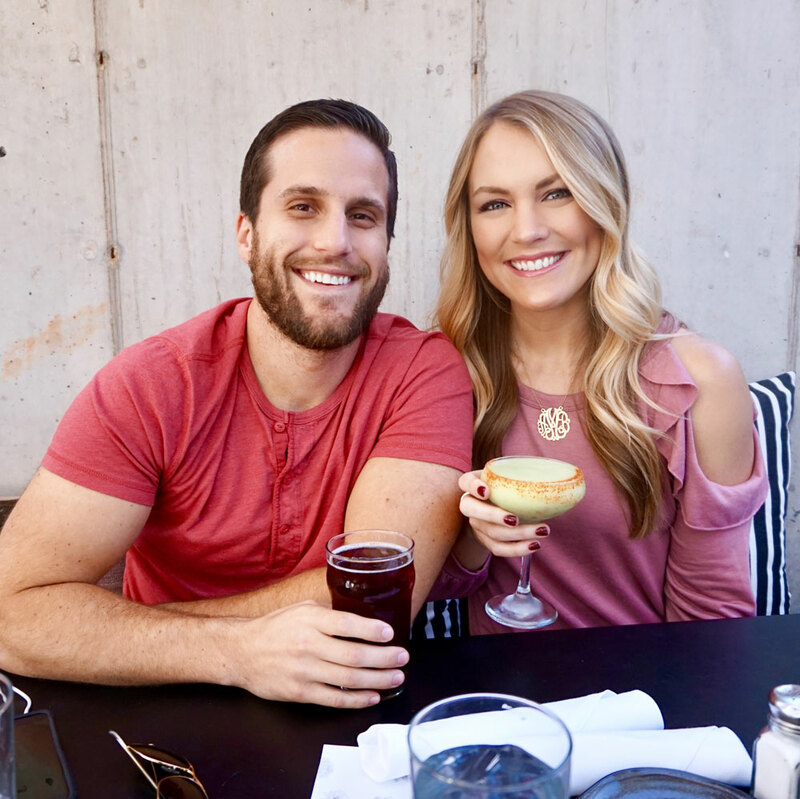 I also included a second favorite drink from each location because sometimes it is fun to mix it up and sample lots of fun drinks....especially when there is good patio weather! This is probably the most unique and delicious drink I've ever had. It is sweet and spicy all at the same time. It burns yet it goes down easy. Does that even make sense? You will just keep wanting to taste it again and again to make sure you got all the flavors! It is made from jalapeño-infused tequila, agave nectar, lime and pineapple. YUM. I promise, you've never tasted anything like this before. A dessert drink if there ever was one. 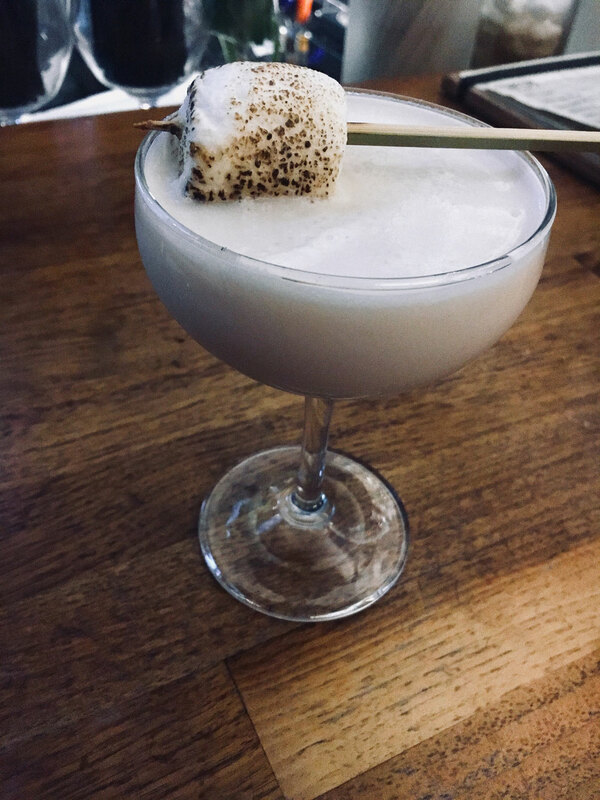 This cocktails comes topped with a real toasted marshmallow (the best part). According to their menu, it is made with vodka, pineapple & roses lime (?) but it tastes like a very vodka infused marshmallow in liquid form. Sweet and very strong! First off, if you haven't been to Power House, you're missing out. It is like a piece of Santa Fe tucked inside the outskirts of downtown Oklahoma City. It is one of my favorite patios in town and is never overly packed. Second, this is my favorite margarita of all time. It has just the right amount of heat and freshness and is served on the rocks so it doesn't give you a brain freeze. Perfect for a summer day on the patio. This marg is so unique and yummy! I'm not a big avocado gal, but it gives this drink an amazingly smooth and creamy texture. I love it! It isn't overly strong, either, and pairs so nicely with their chips and salsa! I could drink these all day long. Basic white girl here! Quite possibly the most talked about drink in all of Oklahoma City? 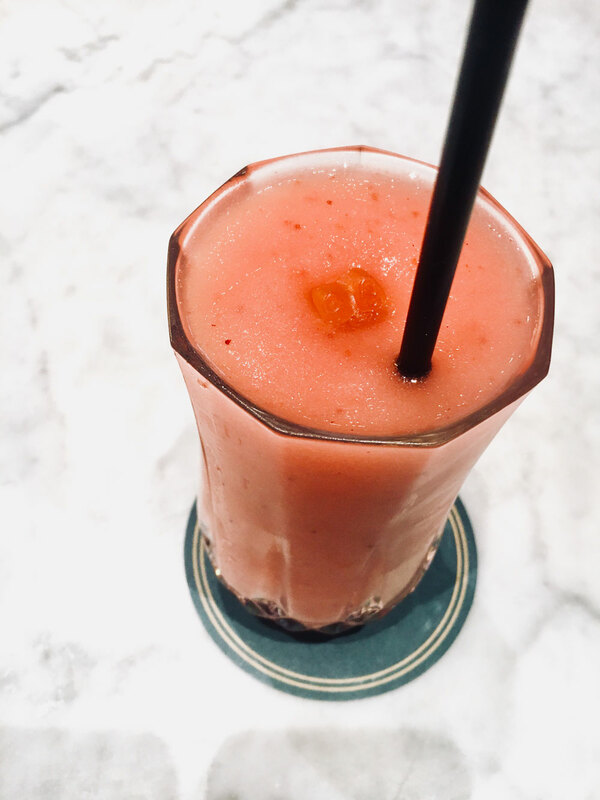 Rosé, gin, strawberry and lemon all blended and served frozen. Yes, please! It will give you a brain freeze but that's probably a good thing because it is stronger than it tastes and it goes down smooooooth. It is served with a gummy bear on top which I love. 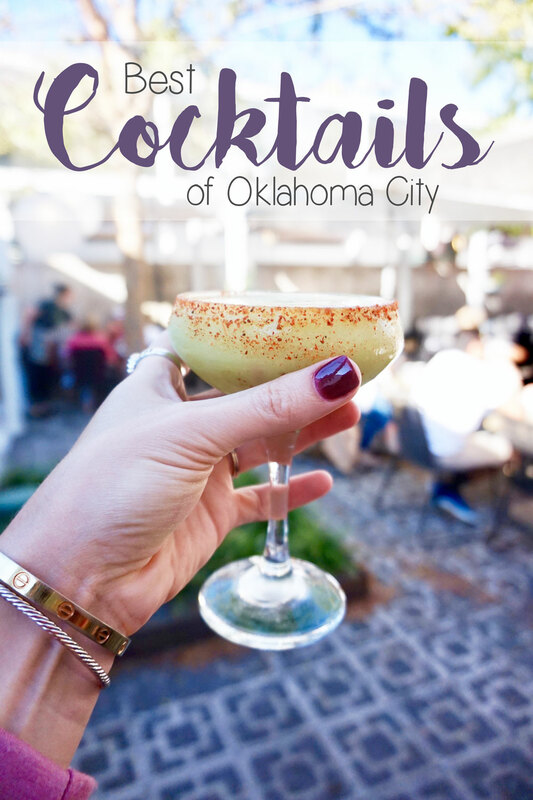 There are SO MANY places in OKC to grab a drink that it was hard to pick! I also recommend Scratch, Oak & Ore, Pump Bar, Mary Eddy's, The Yard, Kitchen 324, Ludivine....the list goes on and on! I've heard great things about Rockford Lounge, Revolución and Ponyboy, too, but haven't been to any of them myself, yet. What is your favorite craft cocktail and where is it from? Even if it isn't in OKC, I still want to hear it! Sometimes I like to recreate craft cocktails at home and would love some inspiration. Thanks so much for reading! Any requests for next month's Best of OKC post? I'm all ears!